Stanford Advanced Materials (SAM) is a leading supplier of niobium metal powder in various shapes and sizes. Customized products are also available. Other niobium metals: Niobium Ingot (Nb Ingot), Niobium Foil (Nb Foil), Niobium Plate/Board, Niobium Tube/Pipe, etc. Niobium is a shiny, white, soft, and ductile metal, and takes on a bluish tinge when exposed to air at room temperatures for a long time. Like tantalum, niobium also features outstanding chemical and oxidation resistance. SAM’s spherical niobium metal powder is also a material for 3D printing. It can produce the metal objects directly with high density and accurate shape by DMLS (direct metal laser sintering), which is a typical 3D printing technique. 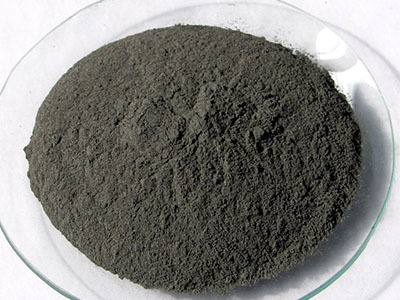 SAM's spherical niobium metal powder can be used in 3D printing and other powder metal products. Our spherical niobium metal powder is clearly tagged and labeled externally to ensure efficient identification and quality control. Great care is taken to avoid any damage which might be caused during storage or transportation.